Ah, it’s that time of year again when making a cup of tea becomes so much more difficult. Sneaking off during an ad break to fill the kettle? Forget it! Christmas adverts are far too good to miss, so here’s our pic of the best that are sure to lift your spirits this festive season. Following last year’s highly successful Buster The Boxer Campaign which received more than 26 million views on YouTube, all eyes were on John Lewis to pull something wonderfully entertaining out of the bag – and they didn’t disappoint. 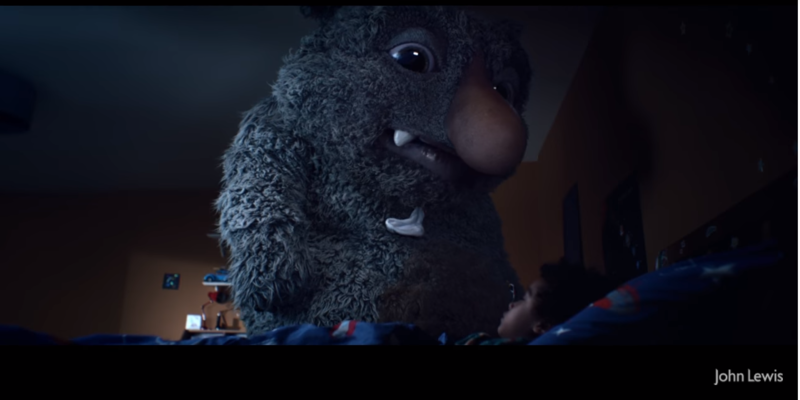 While some overprotective parents worried that the ‘monster under the bed’ concept was a little scary, it’s fair to say that the overall idea is cute, endearing and extremely clever in terms of marketing giving John Lewis the chance to sell a whole array of Moz the Monster merchandise – with the plush toys alone being £20 each. Some of the proceeds will go to the Barnardo’s children’s charity. The ad has everything you need – a sweet storyline, an emotive soundtrack and a catchy finale in which the monster disappears leaving a badly-wrapped, yet child-appropriate gift. And it only gets better with the strapline ‘for gifts that brighten their world’ conveniently promoting the ‘thoughtful giving’ message which is the seed behind all of their adverts. Top this off with a catchy hashtag such as #MozTheMonster designed to drum up attention on social media and you’ve got yourself a clever, relevant and enjoyable campaign. Content marketing takeaway: Choose your target audience carefully. 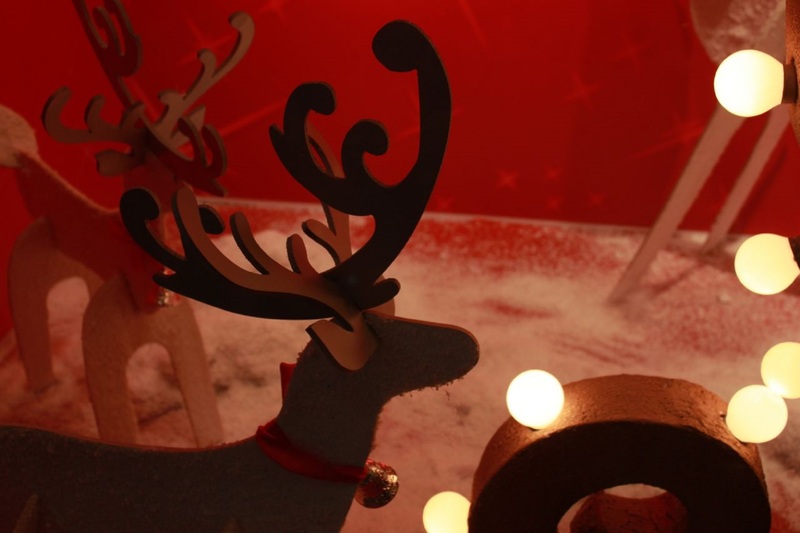 As Christmas is largely about making children happy and buying gifts, John Lewis has cleverly aimed their Christmas adverts at parents who are sure to be looking for a reliable retailer this festive period. To ensure your ad is reaching the people you intended, be sure to always set and review your KPIs. Everyone loves a Christmas romance and Debenhams has re-written a classic fairytale with a modern twist. It all starts well. A guy meets a girl. There’s a knowing smile, then blast. She has to get off the train – but wait, she loses a shoe. In a desperate plea to find the lady of his dreams, the love struck lad uses Twitter to #FindThatGirl while the clumsy beauty urges her followers to #FindMyShoe. Somehow, by fate, they bump into one another on the street and share a cheeky kiss in the snow. It’s a sort of Bridget Jones’ Diary meets Cinderella affair and while relatively unrealistic (bah humbug), we love it nonetheless. The story is a tried and tested winner but what about the marketing concept? Well, that works too. Firstly, it pulls on the old heartstrings. Secondly, it showcases, glitz glamour and host of must-have accessories without being overly promotional. Thirdly, the ad focuses on ‘finding’ with the strapline reading ‘you shall find your fairytale Christmas’ followed by #youshall. This is a call to action, encouraging people to visit the store. Lastly, Ewan McGregor – enough said. Content marketing takeaway: Showcase your brand without being too ‘in your face.’ Nobody wants to see flashy marketing banners these days. An emotive, clever and engaging marketing campaign that appeals to your target audience is much more effective. Oh, M&S have been clever this year. 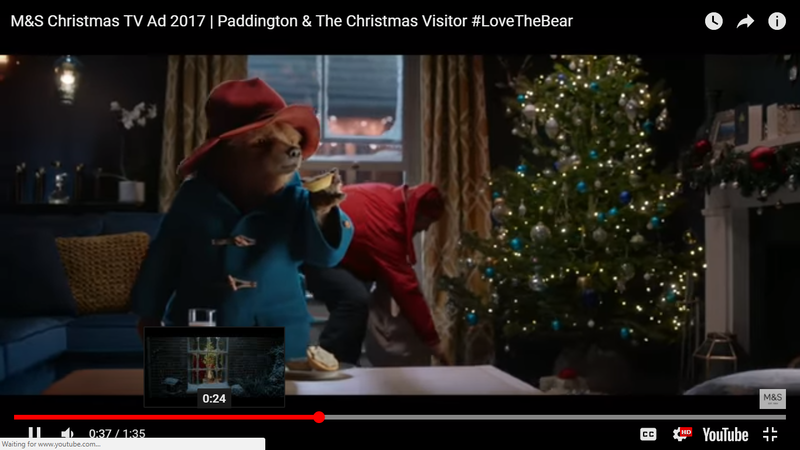 To tap into a family audience, they’ve teamed up with the creators of Paddington 2 to create this amusing advert in which Paddington thwarts the efforts of a rather clumsy burglar whom he mistakes for Father Christmas. The bear then takes the thief on a journey to deliver all the presents to their rightful owners, teaching him the true meaning of Christmas along the way. The campaign is fun, festive and is linked to 90 products including a £12 soft toy version of Paddington. Like John Lewis, Marks and Spencer are cashing in on advert-related merchandise and as the ad will be played before Paddington 2 on the big screen, it will reach their target audience with ease. All profits made from the sales of a £3 book will go to the NSPCC to help fund its Childline service. Of course, social media is also involved with #lovethebear being the Twitter handle. Content marketing takeaway: Collaborations can be smart and effective. Links to charities can also attract positive attention showing a desire to give back to the community. This Christmas advert stands out from the crowd in that it celebrates diversity and promotes inclusion. It features people of all different races and shows families preparing a traditional Christmas dinner in different ways. What with Brexit and a feeling of continued division within many communities, it’s nice to bring people together during this special time of year. It’s important to feel welcome. It can make a big difference to your overall happiness and we like how Tesco has conveyed a sense of togetherness and unity. Content marketing takeaway: Coming up with a strong marketing message like ‘everyone’s welcome’ will do more for your brand than simply selling the products you have on offer. Think outside the box and try to tap into genuine human emotions such as compassion. Everyone loves a good sing-song at Christmas right? Well, this year, Sainsbury’s Christmas advert gives you a chance to sing about ‘Every Bit of Christmas’ that makes the holiday experience so memorable from bad tasting Brussels to novelty socks, ripped paper hats to pigs in blankets. The lyrics are quite a mouthful but with plenty of practice you may even be able to attempt the karaoke version of the advert on YouTube – a clever marketing ploy that’s sure to increase overall views. Written by lyricist Ben “Doc Brown” Smith and composed by Mikis Michaelides, the ad also features well-known festive favourites Ricky Tomlinson and Kermit the Frog. To keep the ad interesting, 25 shorter versions will be shared across the retailer’s social channels including Facebook, Twitter, Instagram, YouTube and Snapchat. Throughout the festive period a variety of films and social content will run across broadcast, print, social media, audio, digital display and outdoor advertising. Content marketing takeaway: With an integrated marketing campaign, you can attract your target audience from multiple angles and get as many eyes on your ad as possible. If you’re making a TV broadcast, be sure to sing about in on social media and link all elements of your campaign together. There are many wonderful Christmas adverts out this year. It’s hard to choose a favourite but it’s definitely a toss-up between Moz The Monster and Cinderella – with Cinderella just about stealing the prize thanks to its romantic twist. Yeah, we’re a soppy bunch. which is your favourite Christmas advert? Tweet us @_contentworks and let us know. If you need assistance writing video scripts or coming up with a creative content campaign to improve your online reputation – contact the Contentworks team today. At Contentworks Agency we always credit our sources. Thanks to the following sites for providing awesome information.